How Christians Should Regard Moses is an interesting sermon from Luther responding to the theonomists of his day. What is noteworthy is that Luther responds the way that 1689 Federalism has responded (which is not surprising given that Luther largely followed Augustine). The Mosaic law as a unit (including the 10 commandments as they were delivered to Israel) is abrogated. It does not continue into the New Covenant. However, part of Mosaic law overlapped with natural law, which binds all men. And Moses clarifies natural law by putting it in writing, so we can look for clarification in Moses. Furthermore, Moses contains promises of the gospel, by which men were saved through believing. They desire to govern people according to the letter of the law of Moses, as if no one had ever read it before. When these factious spirits come, however, and say, “Moses has commanded it,” then simply drop Moses and reply, “I am not concerned about what Moses commands.” “Yes,” they say, “he has commanded that we should have one God, that we should trust and believe in him, that we should not swear by his name; that we should honor father and mother; not kill, steal, commit adultery; not bear false witness, and not covet [Exod. 20:3-17]; should we not keep these commandments?” You reply: Nature also has these laws. Nature provides that we should call upon God. The Gentiles attest to this fact. For there never was a Gentile who did not call upon his idols, even though these were not the true God. This also happened among the Jews, for they had their idols as did the Gentiles; only the Jews have received the law. The Gentiles have it written in their heart, and there is no distinction [Rom. 3:22]. As St. Paul also shows in Romans 2:14-15, the Gentiles, who have no law, have the law written in their heart. In the second place I find something in Moses that I do not have from nature: the promises and pledges of God about Christ. This is the best thing. It is something that is not written naturally into the heart, but comes from heaven… in Moses there are the promises of God which sustain faith. As it is written of Eve in Genesis 3:15, “I will put enmity between you and the woman, and between your seed and her seed; he shall bruise your head,” etc. Again Abraham was given this promise by God, speaking thus in Genesis 22:18, “In your descendants shall all the nations be blessed”; that is, through Christ the gospel is to arise. I was somewhat relieved to hear him specifically refer to the 10 commandments as a ‘mirror’ of our life (2nd para before the end of your excerpt). I was worried about him saying that we only follow Moses in what agrees with nature/natural law. Taking all of Moses, how do we know what to follow as natural to all men, and what isn’t? Some would say it’s natural for a woman not to wear any type of trousers. Taking the view generally attributed to Calvin, of Moses larger scope of commandments as an exposition of the 10, an argument from general equity (which makes the whole of Moses relevant when rightly applied) seems to me better than to limit relevance to the 10 commandments as is commonly done. I wonder what you would think. Hi Kaj, most people do not limit the moral law to the 10 commandments but rather recognize that the 10 commandments summarily comprehend the moral law. Most recognize that other Mosaic laws further elaborate or expand upon the moral law. I don’t think Luther would disagree with that. 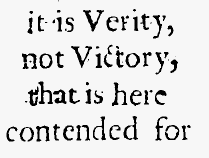 What he is saying here though, and what 1689 Federalism agrees with, is that the Mosaic law as a unit is abolished. Anything that remains comes from natural law (the moral law written on the heart of all men). 1689 Federalism & America’s Founding Blood Feud and State Control: Differing Legal Institutions for the Remedy of Homicide During the Second and First Millennia B.C.E.